This card was created based off of this week's sketch at The Sweet Stop. 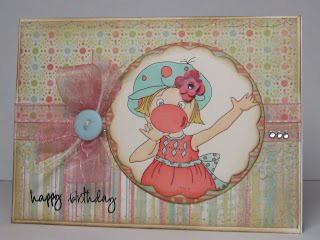 I went with this darling digital image from Sassy Cheryl's. DP's from my stash, button and twine from PTI, paper flower Making Memories, misc. 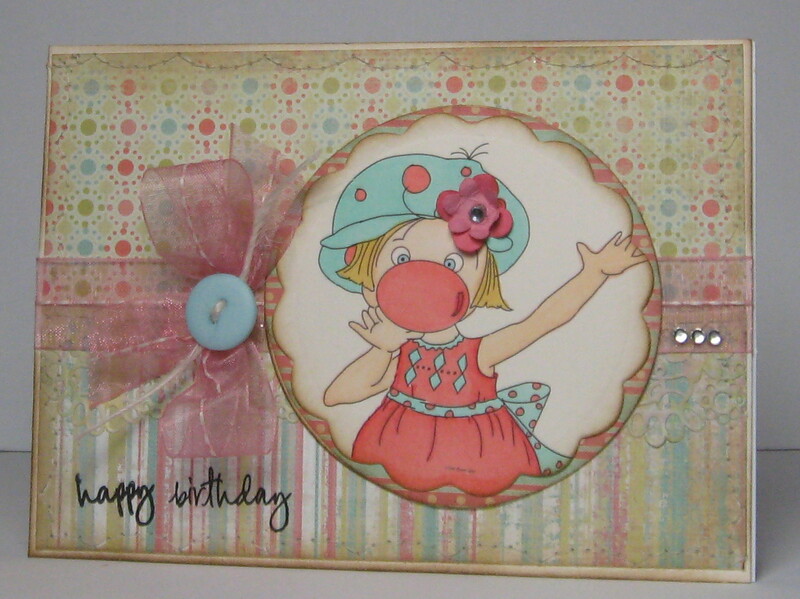 ribbon and rhinestone adhesives. Thanks for taking a peek - have a great evening! This is so sweet and lovely. I love how your papers blend perfectly with your colored image. Fantastic card. Thanks for playing at the Sweet Stop.